PreCheck, Inc., a healthcare exclusive background screening firm, announced they will be expanding their presence in Alamogordo, NM to create 30 new jobs. 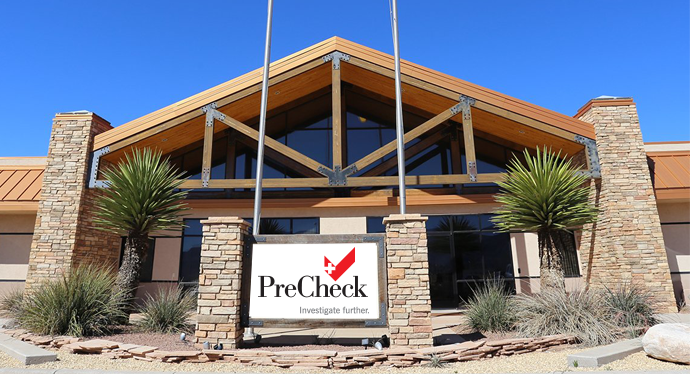 PreCheck, Inc., a background screening and credentialing firm specializing in the healthcare industry, is set to expand their presence in Alamogordo, NM to create 30 new jobs. This is PreCheck’s second major expansion in New Mexico since 2014 supported by the state’s closing fund and job training program. "Since 2011, we've enacted major reforms to make New Mexico a great place to do business. Now we're seeing the results," states New Mexico Governor Susana Martinez. "We need to keep fighting for the bold reforms and critical tools that have allowed companies like PreCheck, Facebook, and many more grow in New Mexico. Let's continue to build on our success." New Mexico will provide $100,000 to PreCheck through the state’s closing fund, also known as LEDA. LEDA helps recruit new businesses to our state while helping those that are already here grow and thrive. Nearly zeroed out when Governor Martinez took office, she fought to grow this important tool to more than $56 million. In addition to the LEDA funding from the State of New Mexico, the City of Alamogordo will commit $50,000 in LEDA funding to the project. In 2014, PreCheck was awarded LEDA funding to expand their Alamogordo facility and add dozens of new jobs. PreCheck has also used the Job Training Incentive Program to consistently ramp up growth.